After 31 years in the United States, I find myself more American than I ever expected to be, yet not so American in many ways. Just found this post from several years ago, that I never actually published! I spent a week in Maine on my own with the kiddos this month while DH was using a precious week of his vacation time to take a bronzecasting class at the Wooden Boat School. We spent the week staying about an hour away from DH at the College of the Atlantic in Bar Harbor at a family nature camp and were lucky enough to have very un-Maine-like weather. It wasn't until DH joined us at the end of the week that we saw any fog. We had glorious blue skies, and perfect temperatures. Although we were there for a nature camp, we were extremely happy that we saw hardly any of the Maine state bird (aka the mosquito) while we were there. Given how many programs the National Park Service organizes in Acadia and the number of biking and hiking trails, we could have had a very busy week on our own without signing up for the camp. The advantage of the camp was that there were other families doing the activities with us, and kids for mine to play with during down time, making it a lot more relaxing for all of us. The location was also great - a short walk from downtown Bar Harbor, and on the Island Explorer bus line. Kudos to LLBean for sponsoring such a fantastic free bus service that covers so much of the island! 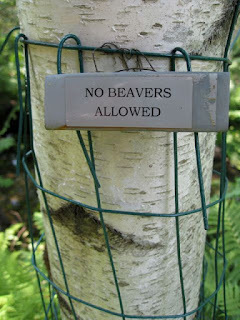 The beaver pond was prettier in the daytime when the water lilies were out but there were never any beavers around then. 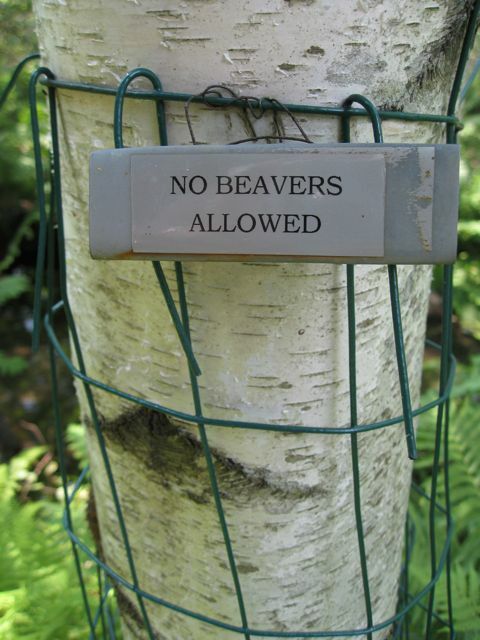 There were a lot of beavers in Acadia and they do love birch trees, but I'm pretty sure none of them could read! This flyer was sent home with the kids from school today. 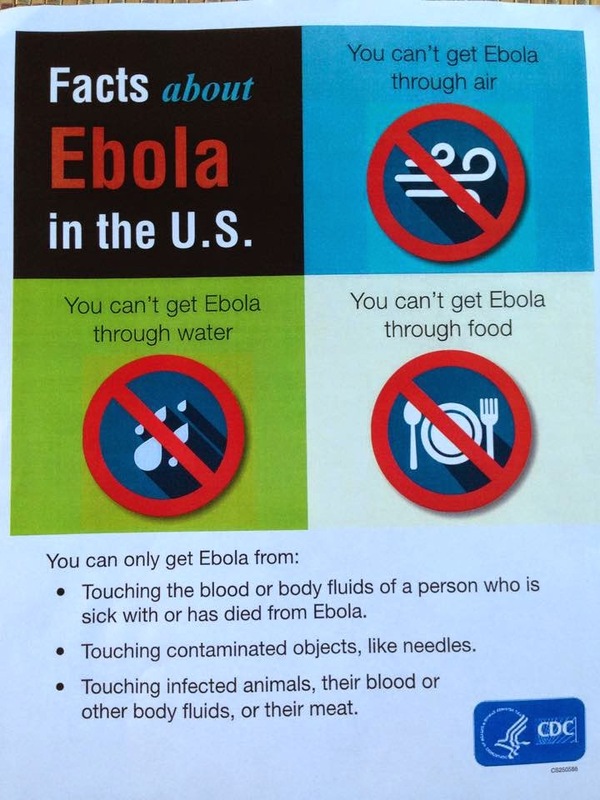 Apparently Ebola in the USA is different to elsewhere! At least that's what the flyer would imply - why else include the words "in the U.S"? 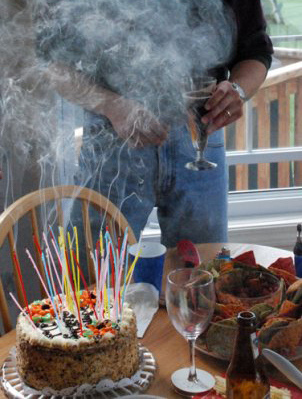 Great for birthday parties, Thanksgiving, Christmas, New Years . . . and more." I didn't take a closer look at the box to see if there are instructions on what to do with the crackers - after all, if you haven't seen one before, it's not necessarily obvious! I wonder what's in them, and if Americans will wear the paper hats if there are any. I may have to go back tomorrow and buy a box. 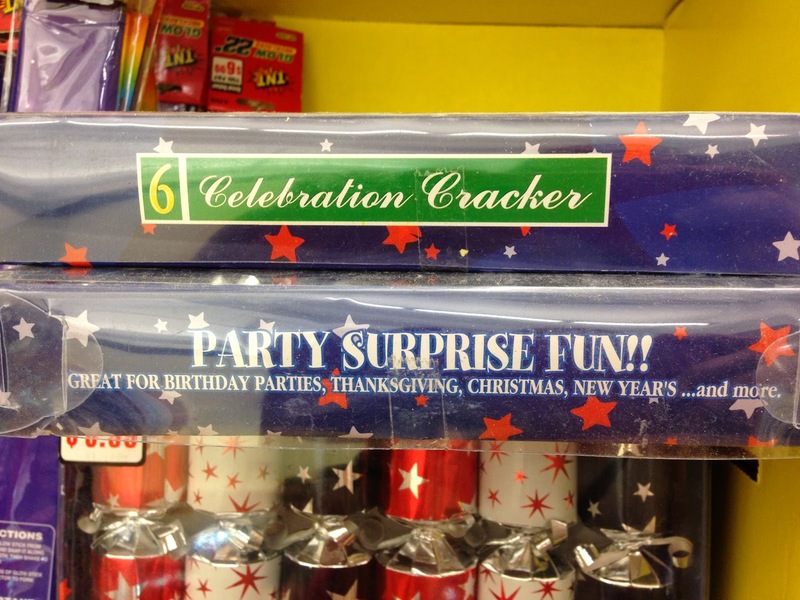 I wonder, if they sell well, if we'll start to see crackers for every 'occasion' - Halloween, Valentines' Day, Hannukah, weddings, baby showers . . . So much marketing potential that's been missed in the UK! I decided to have a cup of tea instead of a cup of coffee with breakfast this morning. My son was appalled: "Tea this early in the day! 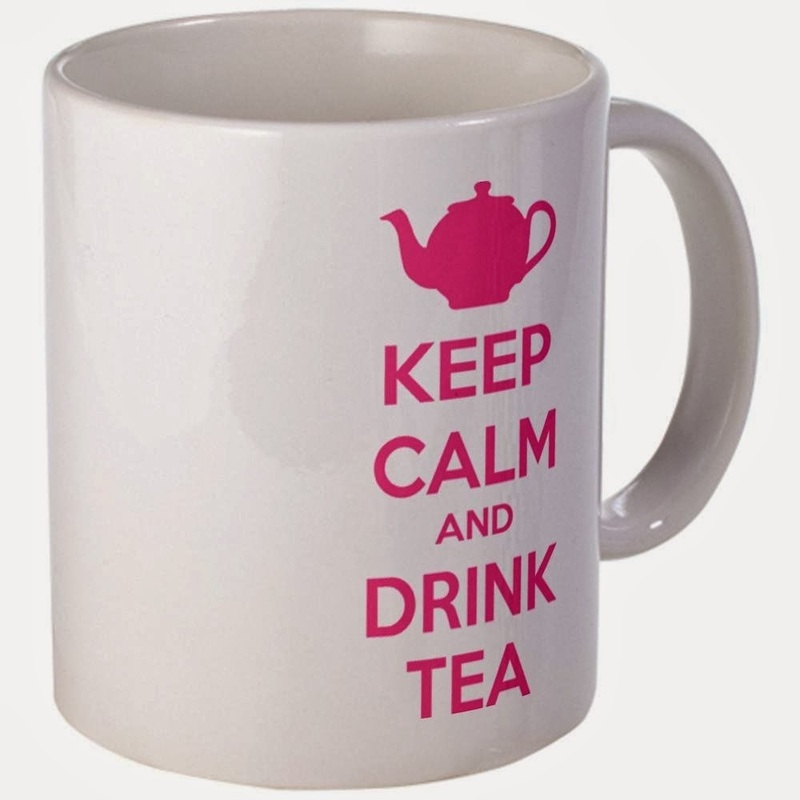 Tea isn't for the morning, it's for teatime in the afternoon!" He knows I have an alarm that goes off inside my head sometime midafternoon to remind me to have a cup of tea. We'll be out somewhere and I'll suddenly feel the urge for a cup of tea and know without looking at my watch that it must be sometime between 3 and 4. The kids and DH know that if I suddenly say "Ding, ding, ding" it means that alarm in my head has just gone off! It hadn't occurred to me though, until this morning, that the kids have never seen me (or anyone) drink tea at any other time of day! The beginning of the school year in the USA must rival Christmas for the amount of money being spent! Last week we got a note from my son's teacher for this year listing the supplies he will need to bring with him. Fortunately, his school provides many of the things he will need - not all public schools in the USA do. He needed a 3 ring binder (I emptied one of mine for him), pencils (we rounded up a dozen from around the house) and 2 notebooks (I picked some up at Staples earlier this summer when they on sale for 1 cent each.) DONE. 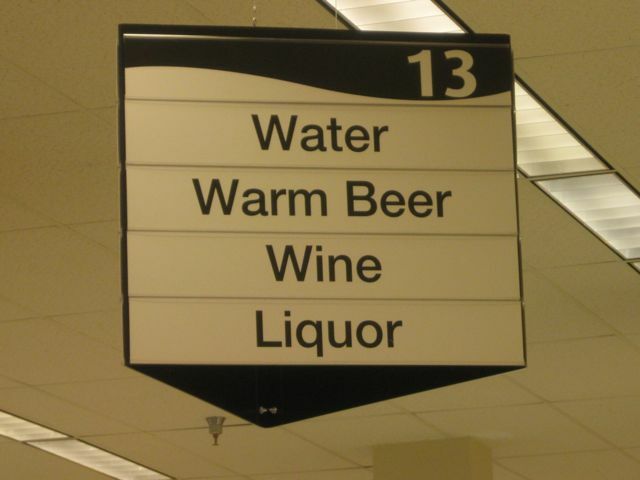 When the kids are old enough to be heading off to college, the shopping list will not be that short of course. I went to Target last week and had a hard time finding the things I needed. 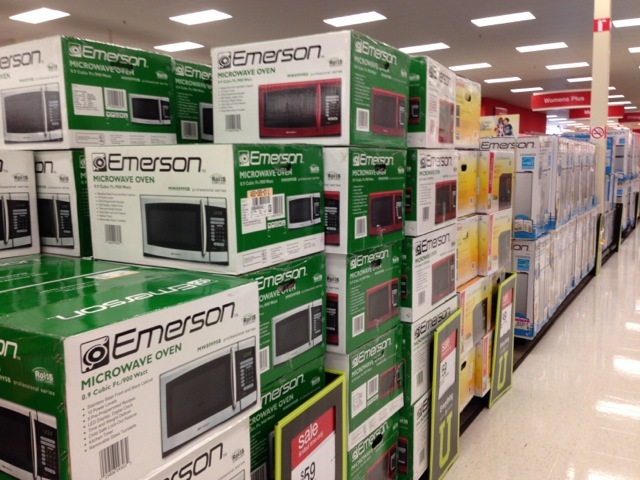 There are women's clothes somewhere behind those boxes. 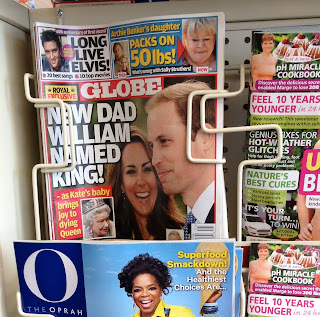 Hmm - I saw this at the supermarket checkout last week and wondered why if the Queen really is dying and has decide to name William as her successor, no other news agencies other than the Globe have reported this fact? Oh yes, that would be because the REPUTABLE news agencies try to stick to reporting facts! KATE KICKS CAMILLA OUT OF THE DELIVERY ROOM! QUEEN ELIZABETH HAS JUST MONTHS TO LIVE! KATE'S NEW HOME BUGGED - DID CAMILLA DO IT? 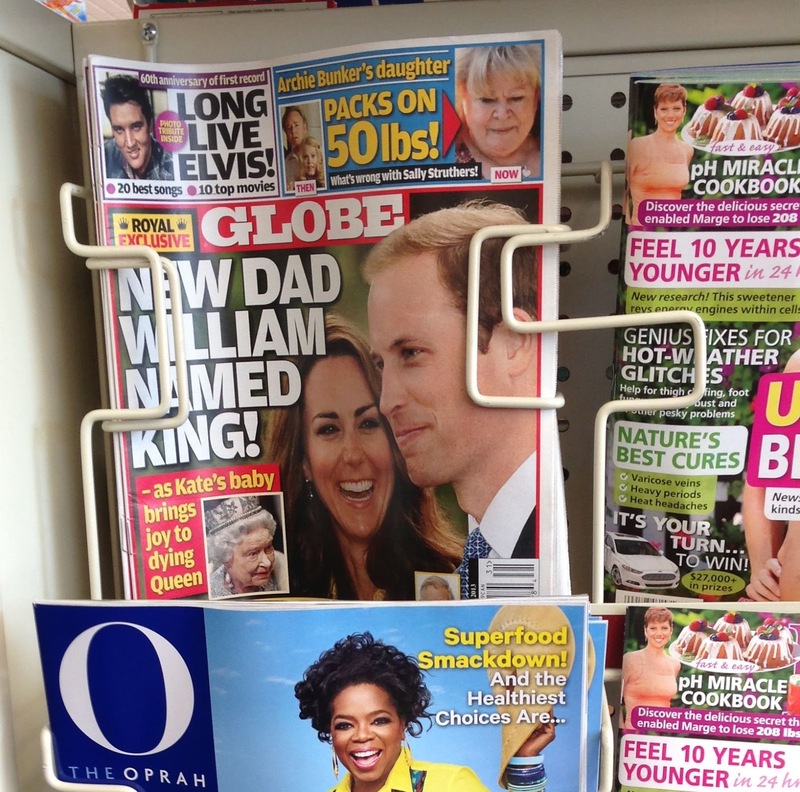 QUEEN NAMES WILLIAM NEXT KING! Good grief! The sad thing is, there are people out there who believe this rubbish! 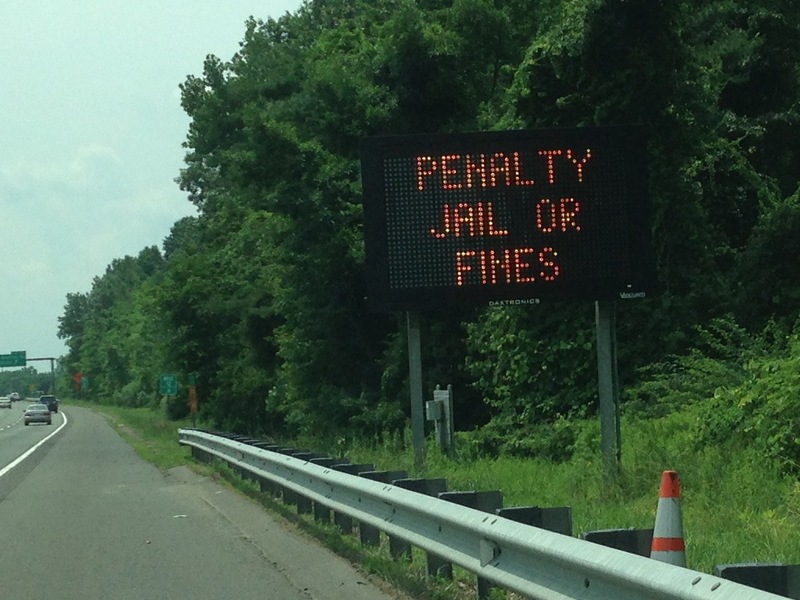 You can tell it's getting close to the 4th of July when signs start appearing at the side of the interstate highways warning that fireworks are illegal in this state. 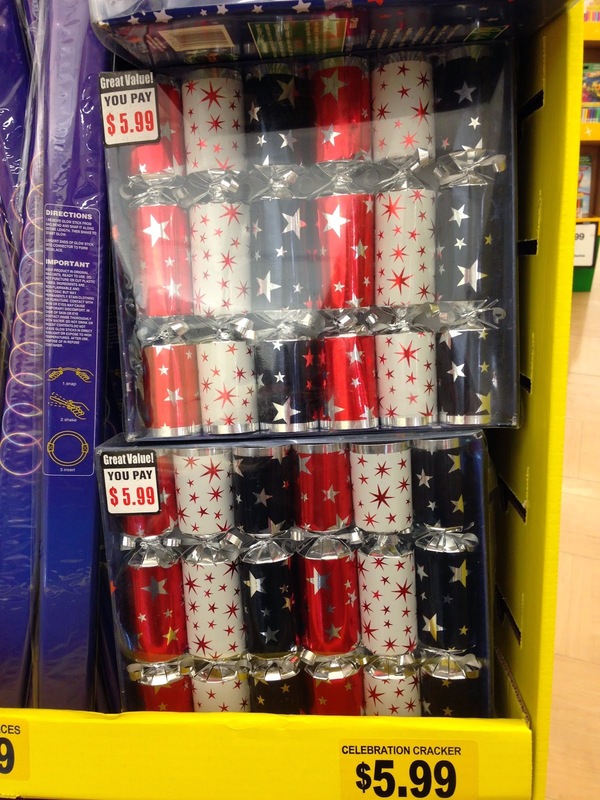 They're not illegal in most neighboring states, so people go there to buy them and bring them back here for their celebrations. 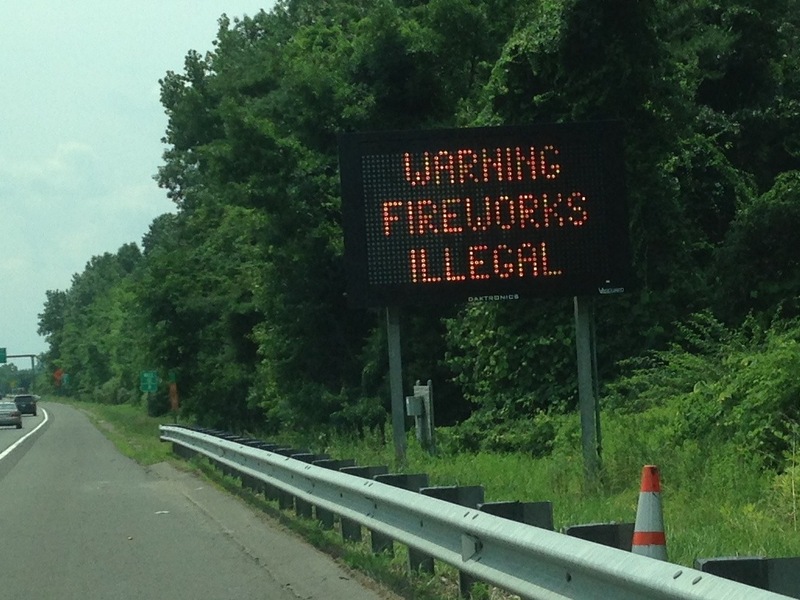 Of course, the fact that fireworks are not legal in this state doesn't prevent anyone from marketing to us - we even get cards in the mail advertising a big firework store just across the border. The cards do warn (in teeny-tiny print) that fireworks are not legal in all states, but they'll still sell to us anyway! 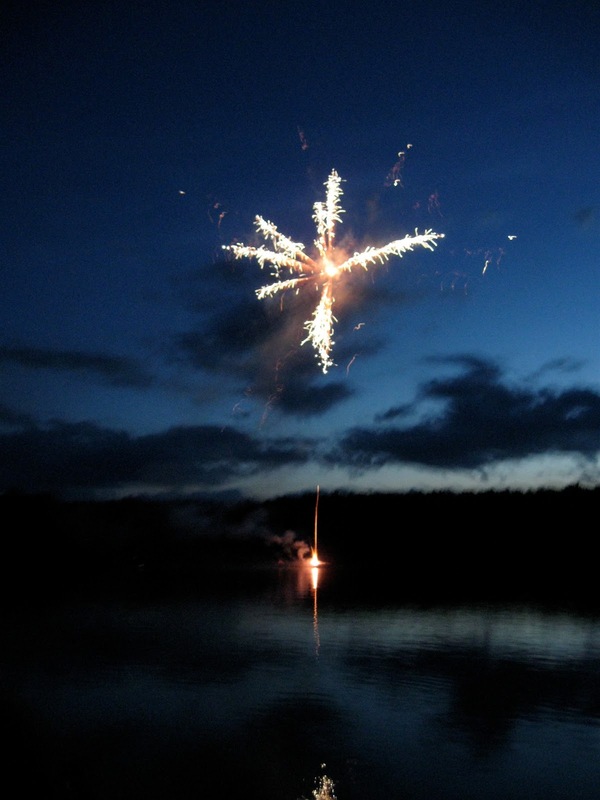 A friend commented recently that he thought the fireworks we were watching weren't as loud as they had been in the past and I suddenly remembered going to the 4th of July fireworks when I was in graduate school (26 years ago!) and thinking they weren't very impressive - more noise than flash. 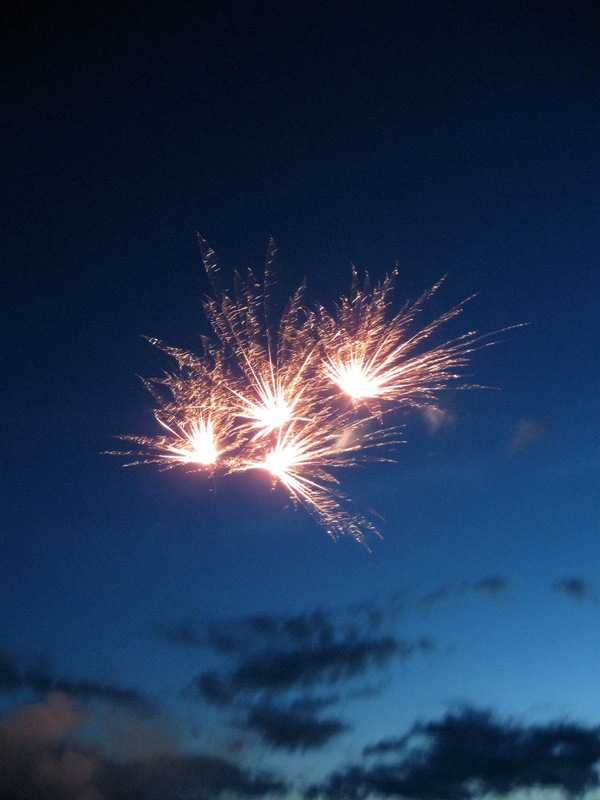 The best firework show I'd ever seen before that was on Bastille Day in the French Pyrenees. We were sitting on a hillside above a football (soccer) field, and not only got to see the fireworks that were being set off from that field, but also the ones going off in two towns in the valley below us. 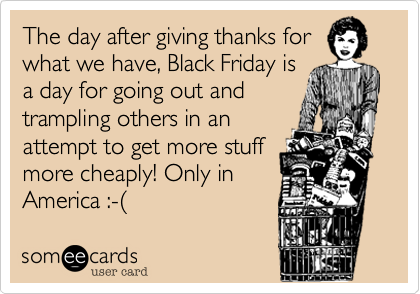 I didn't bother going to any firework shows in the US for many years after that first, disappointing, one! Most years now we go to two shows - an official town one, and an unofficial one. 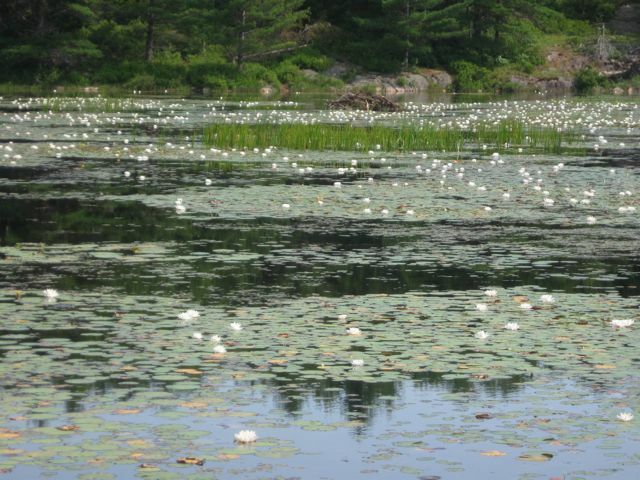 This one is held at a lake that has a lot of summer cabins around it. 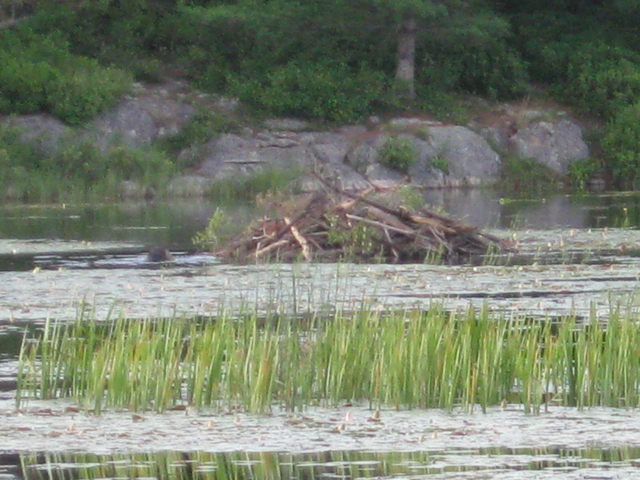 Several of the cabin owners set fireworks off after a day of canoeing, barbecuing and just generally relaxing at the lake. Everyone there chips in some money towards the cost of the next year's fireworks and there's some unofficial rivalry between the 2 ends of the lake as to who has the best show. They are always set off very safely from a metal boat moored in the middle of the lake. These are pictures from a couple of years ago. 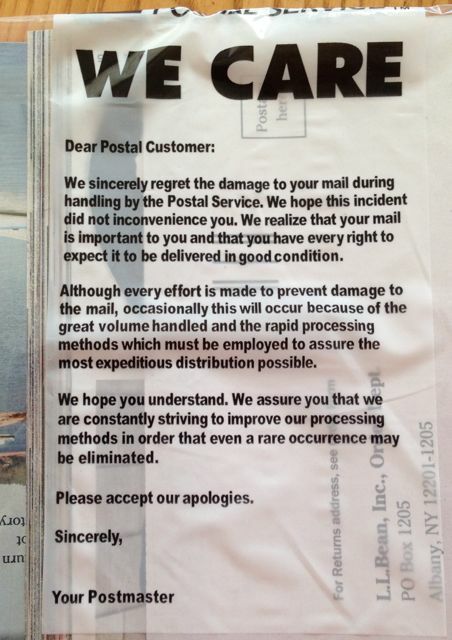 So nice to know that the Post Office cares! Can you see through the plastic bag and tell what this precious piece of mail was? Yes, it was junk mail - an L.L.Bean catalog that no longer had a cover. You see they aren't planning on stopping all Saturday deliveries - only first class mail. The junk mail will still get delivered - though of course it seems to be the only kind of mail we get nowadays anyway. So how is not delivering Saturday mail going to save them money exactly? I love that a 78 year-old lady has become synonymous with cool! 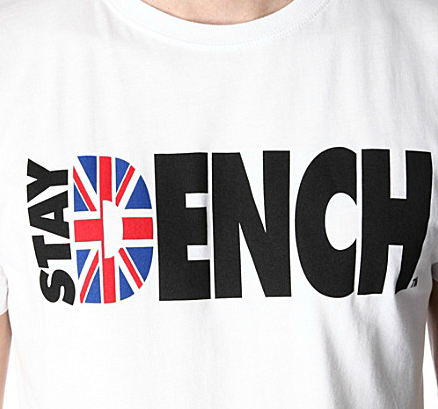 She said she's going to buy her family 'Dench Gang' shirts. I'd like this one - though at 30 pounds it's not cheap! I don't think school children in the UK practice 'lockdowns' the way they do over here. Just like we practice evacuating the building in case of a fire, we practice what we would do in case some loony with a gun came into the building. Of course, in the case of a real fire things are never so organized as they are when we drill. And I always imagined that in the case of a loony with a gun, things wouldn't go so smoothly either. Every time we do a practice lockdown at school I wonder how useful what we're doing might actually be. We have to close the blinds, get the kids to huddle in a corner and pretend no one is in the room. We are to ignore anyone knocking on the door and not to answer the phone in case it's someone trying to find out if there are actually people in the room - as if they couldn't tell! I wonder how we would even know to go into lockdown if the first place the loony with the gun goes is to the office where the public address system is and kills the people who could make that announcement. We do have a backup system of making phone calls to individual classrooms, but I wonder if it would be fast enough. 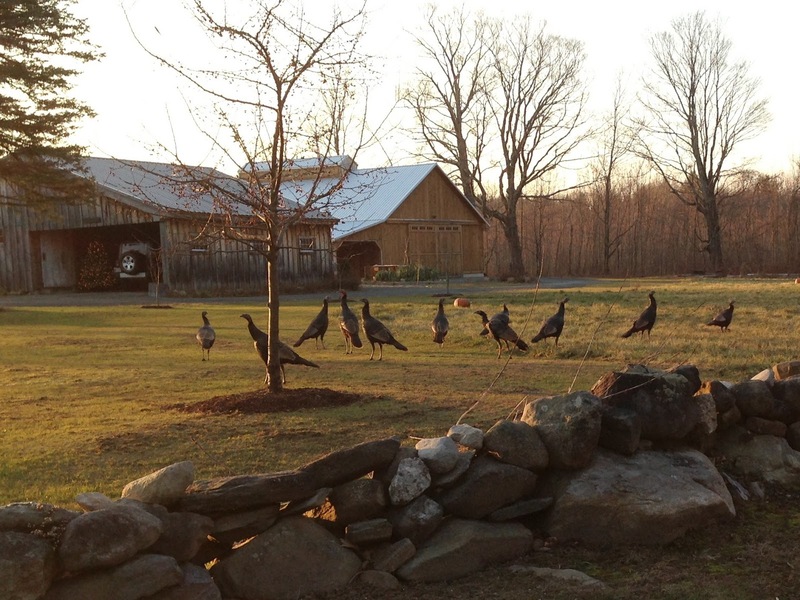 I see this flock of wild turkeys regularly on my drive to work. I'm often halfway past before I even notice them. Occasionally I have to slow down or even stop to let them cross the road. This morning they caught my attention a little sooner because the one nearest the camera was up in that small tree - small tree, big bird! By the time I hopped out of my car to take the photo, s/he was back on the ground. 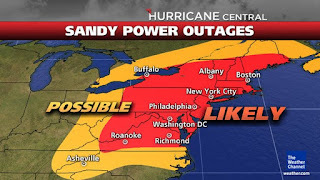 We ended up losing power for 'only' two days - we had friends who lost power for over a week! 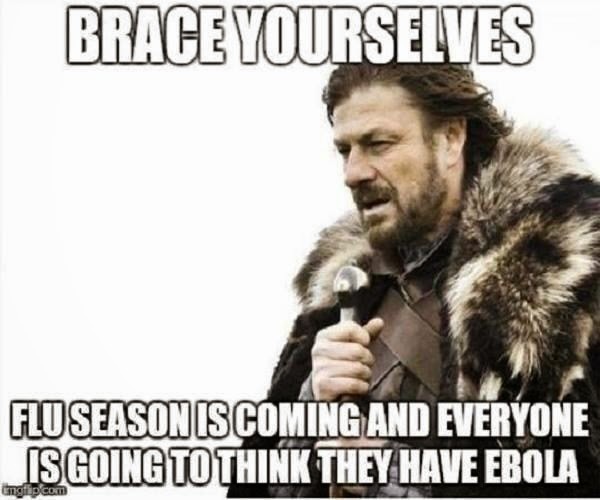 Here's hoping they're scaremongering, but knowledgeable people are taking it very seriously! 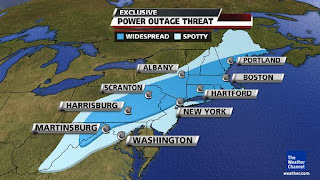 I'm sure if we wanted to buy a generator we're too late already, but I'm heading out now to gas the car up, get some cash and do some (non-perishable) food shopping. I blogged recently about how DH and DD have been handfeeding the chipmunks in our yard. Not surprisingly, the local wildlife seems to have decided that our property is restaurant central. We came home the other day and found a chipmunk inside the bird feeder that hangs in the tree outside the front door! The squirrels have claimed the feeders hanging from the back deck. 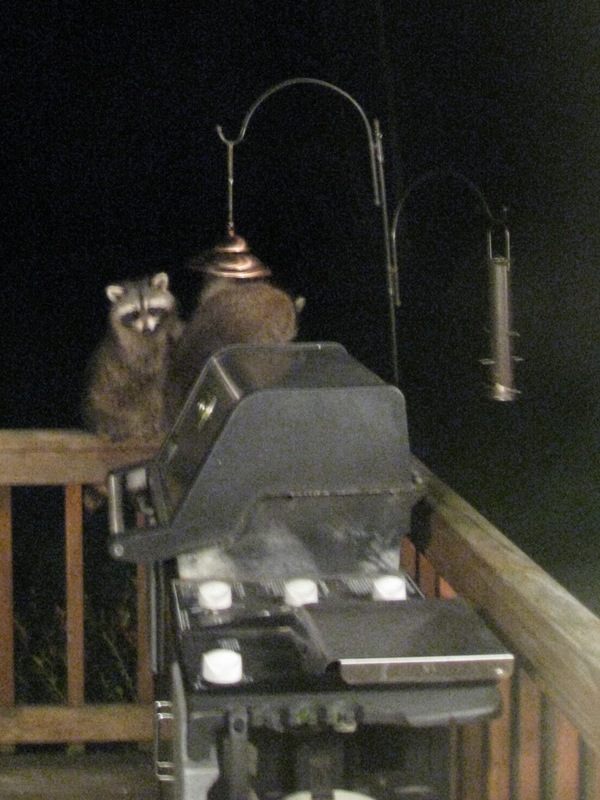 They get very frustrated with the thistle seed feeder because the openings are so small, but it doesn't stop them from repeatedly trying to get seed out of it. The birds hang around waiting for the squirrels to get tired or full (they eventually do!) so they can have their turn. 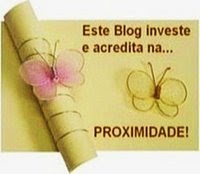 I just realized tonight that I forgot to change the header for this blog back in August - the anniversary of my arrival in the USA. It's been 27 years now. I've lived here more than half my life. Most of my life. I'm still not sure that I can really grasp that. And last week, someone I had just met randomly asked me to say "schedule". When I asked why, she commented that she had noticed my accent. More than half my life in the USA and I still don't sound American! "They [the opening ceremonies] are complex entertainment spectacles that do not translate well online because they require context, which our award-winning production team will provide for the large primetime audiences that gather together to watch them." Context? Hmm - they meant translation or interpretation I suppose - apparently the cultural divide between the UK and the US is now so large that the opening ceremony would be incomprehensible unless it were explained. Hmmph! I think not. But if any explanations WERE needed, the NBC presenters didn't appear to be the people to do it. OK, so a lot of people don't know who Tim Berners-Lee is but the point of having facilitators "give context" to the production should have been for them to sound knowledgeable! Meredith Vieira made it sound as though the ceremony was honoring someone of no consequence outside the British Isles! And after choosing not to broadcast an entire segment of the event, NBC condescendingly commented that it was "a credit to (ceremony director) Danny Boyle that it required so little editing." So, once the opening ceremony was over, I thought I would at least be able to use the handy-dandy NBC Live Olympics app I'd downloaded to be able to watch live events on my iPod. Despite subscribing to a digital cable package and internet service from Comcast (who owns NBC, or vice versa, I forget which) I keep getting the message that my subscription needs to be upgraded (to a more expensive one of course) in order to watch this free streaming service. Grrrrrr . . . . I've blogged in the past about an unusual icecream flavor available locally. 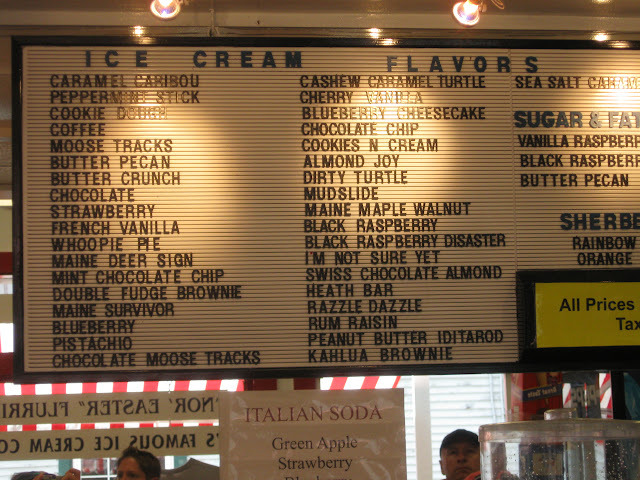 Here's the board listing the flavors available at an icecream parlor in downtown Bar Harbor. Do you see any unusual ones? 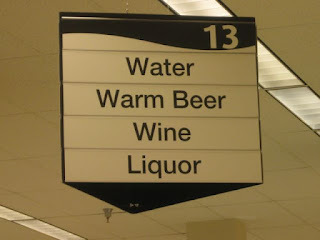 And yes, they did have another aisle with a sign that said 'Cold Beer'. 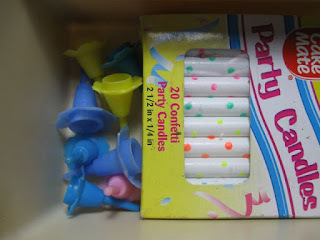 Expat Mum just blogged about the kind of candle holders you put on a birthday cake and said that they don't seem to be an American thing. Well, I know they don't sell the holders with the candles, but I definitely have some in my kitchen drawer and they didn't come from the UK. 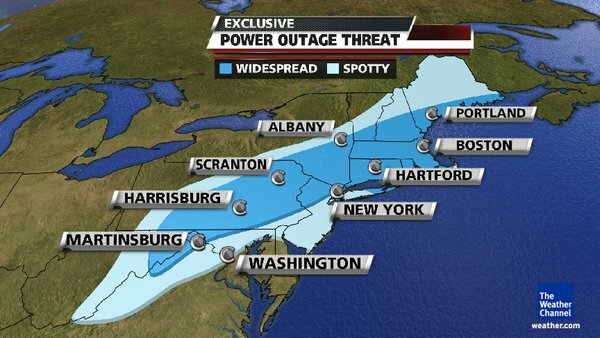 As MsCaroline, one of her commenters, suggested, maybe they are an east coast thing in the US? It was interesting to see the differing reactions in our house last weekend to the Queen's Diamond Jubilee celebrations. As we settled down to watch the Thames flotilla, DS was completely dismissive. I don't think he saw anything particularly interesting in watching a lot of boats travelling down a river. (Like his father, he'd rather be in a boat than watching one.) He didn't understand what it was all about, and said, "It'll be on again next year anyway - I'll watch it then!" DH, of course, is interested in most things that involve small boats and seemed at least mildly interested. DD, however, was glued to the screen and fascinated. She didn't get all the cultural references, but did ask about the ones she knew she didn't get: "Mommy, what's an MP?" I was gobsmacked to discover however that, although she knows the British national anthem is God Save the Queen, it took her forever to come up with the name of the US anthem! "Umm . . . something about rockets and a battle" was the best she could manage until I gave her some hints! 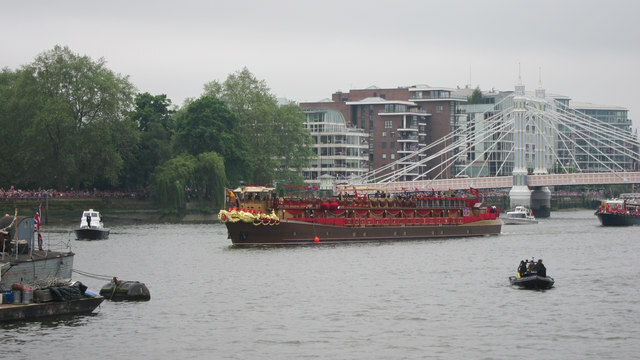 The Jubilee Barge carrying The Queen, Prince Philip, Prince Charles and Camilla, Duchess of Cornwall, Prince William and Kate, Duchess of Cambridge and Prince Harry. Seen from Chelsea Embankment, looking towards Albert Bridge. Thanks Expat Kat and Nicole! From Ladythinker - thank you!